Askamore Foroige Club is back again in Askamore Community Centre – Wednesday nights from 7.30 – 9pm. If you’re aged between 12 and 18 and interested in getting involved, come along and find out what’s happening. Find information on the national organisation here. 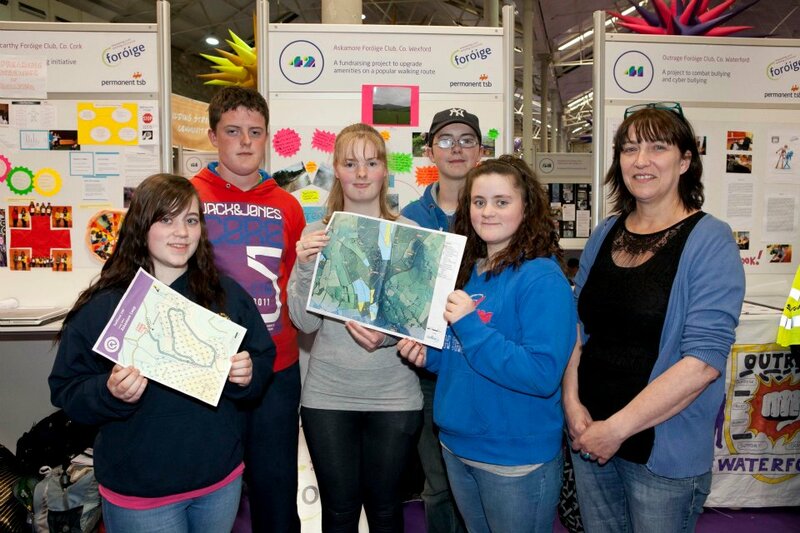 On Sunday 1st July, members from Askamore Foroige attended the Permanent TSB Foroige Youth Citizenship Expo 2012 in the RDS. Over 140 different clubs from all over Ireland took part for the citizenship awards and ten finalists were selected based on their project and an interview with the judges. Unfortunately we were unsuccessful, but despite this we had a great day! Various events took place over the day, such as an official opening with the Minister for children, Francis Fitzgerald, professional magicians and jugglers, a zip line over the RDS, meeting with Britain’s Got talent finalist, Ryan O’Shaughnessy and entertainment throughout the day! Ray Foley from Today Fm announced the ten finalists and this was followed by a concert with Ryan O’Shaughnessy. Our project on putting rest benches on the loop walks on Sliabh Bhui will be displayed in Doran’s shop window for anyone who wishes to see it. We are looking forward to September when Foroige will recommence. Here are some photos from last year and the year before of sports day held in Carlow and the treasure hunt and disco held in Askamore for the primary school kids. We are up and running for another year and ready to welcome new members. We are looking forward to attending an inter-club disco later in the year in Boolavogue. We are also planning a trip to the cinema in the near future. Come along and join us any Wednesday night in the Community Centre, Askamore, from 7.30 – 9pm.